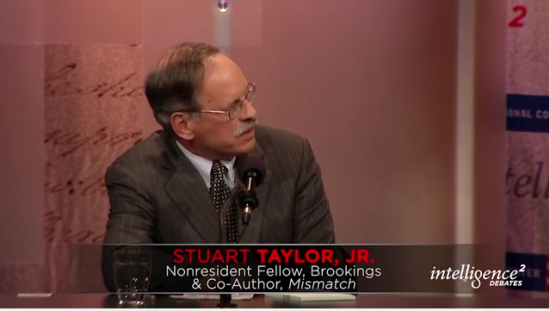 Affirmative Action and Race Archives - Stuart Taylor, Jr.
Why are some of the most privileged students in the nation plunging into a racial grievance culture and upending their campuses as though oppressed by Halloween costumes they don’t approve, imagined racial slights, portraits of Woodrow Wilson, a tiny handful of real racial epithets, and the like? The reasons are of course multifaceted. But one deserves far more attention than it has gotten: Many or most of the African-American student protesters really are victims — but not of old-fashioned racism.